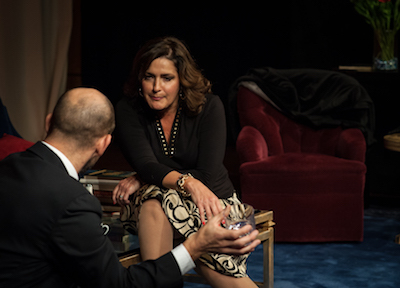 Center Stage at Southampton Cultural Center will present Yasmina Reza’s “God of Carnage” Thursday, Oct. 13 through Sunday, Oct. 30. The Tony-award winning play involves two sets of parents who meet to attempt to discuss an altercation between their sons in a civilized manner. But as the evening progresses, the parents become increasingly childish and brutally truthful and the discussion dissolves into chaos. The Center Stage cast includes Edward Kassar, John Leonard, Catherine Maloney and Frances Sherman. Michael Disher directs. “God of Carnage” was the winner of 3 Tony Awards, including Best Play, Leading Actress and Director. Thursday performances are at 7:30 p.m., Friday and Saturday performances are at 8 p.m. and Sunday matinees are at 2:30 p.m. Southampton Cultural Center’s Levitas Center for the Arts is located at 25 Pond Lane (across from Agawam Park) in Southampton. Tickets are $22.00 for Adults and $12.00 for students under 21 (ID required). Dinner/Theatre packages are available for certain performances. Call 631.287.4377 for more information or go to www.scc-arts.org for online ticket sales and more information about the entire 2016 to 2017 season.